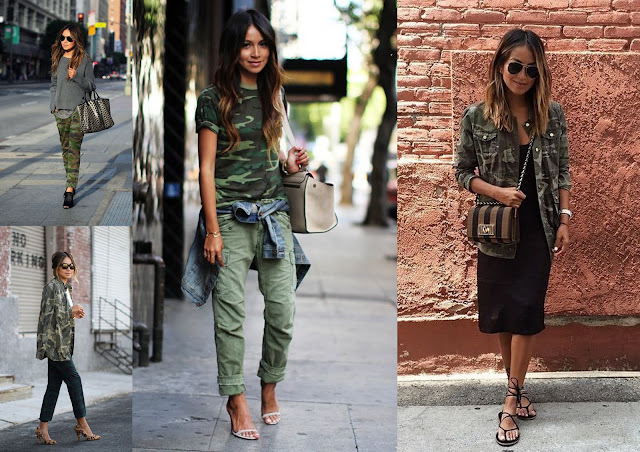 My love for khaki continues, this time with camouflage. The military look has grown on me more over the years, and although I have a few things khaki I realised I don't own anything camouflage. Not that I need anything camo, but lately I have seen some lovely things on the high street that I have been eyeing up. 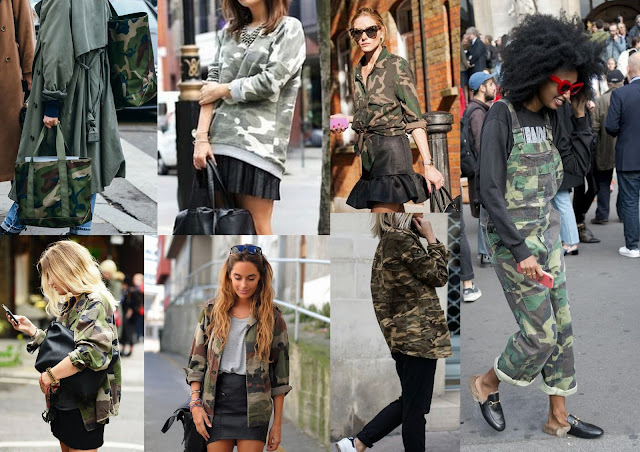 The camouflage print over the years has just become another print we can all get on board with, similar to the leopard print and plaid. The high street this summer has some of the best camo patterns, just like the leopard print I'm quite particular as the colour and pattern has to be right. One blogger that has nailed the camo style to perfection is Julie Sariñana from Sincerely Jules. Most of her outfits have a casual vibe but always stylish and well put together. 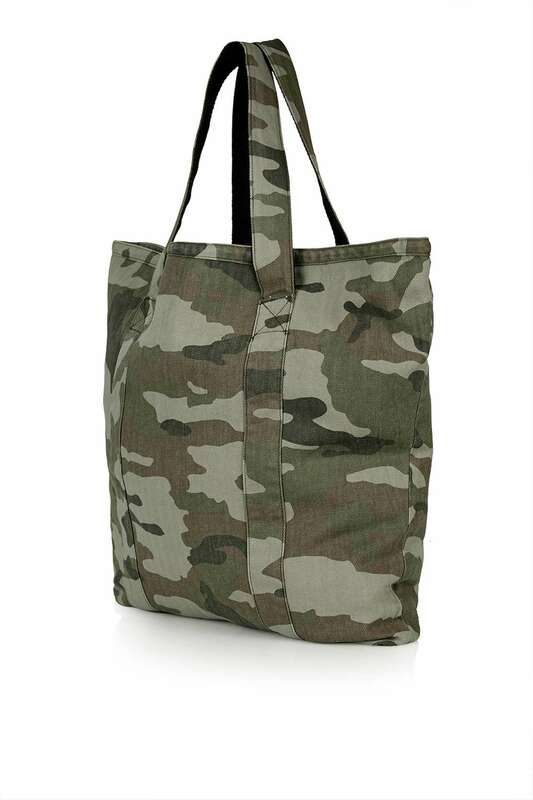 Since coming across the above image of the camo bag a few months back, I realise I may need one too. 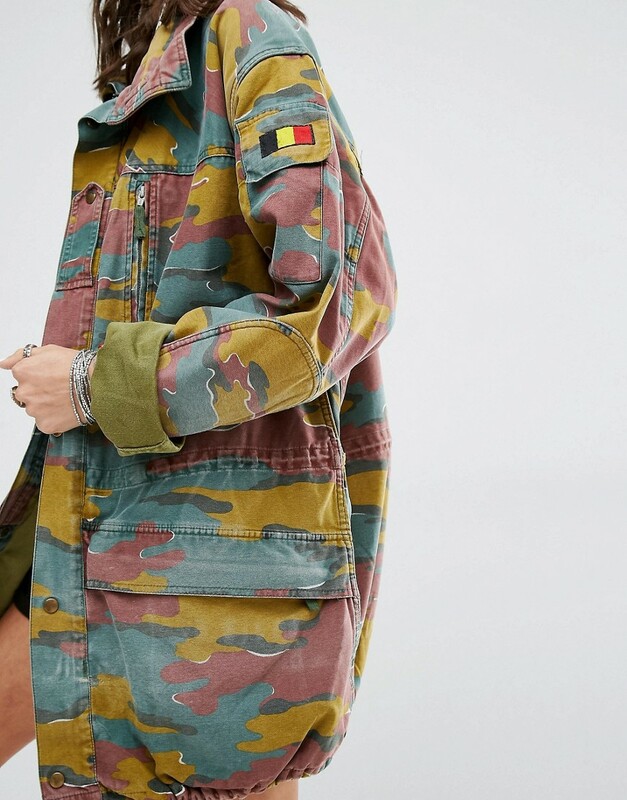 I saw one in Topshop recently that I have been looking at every so often online, think I may need to get this depending on how big it is against me. 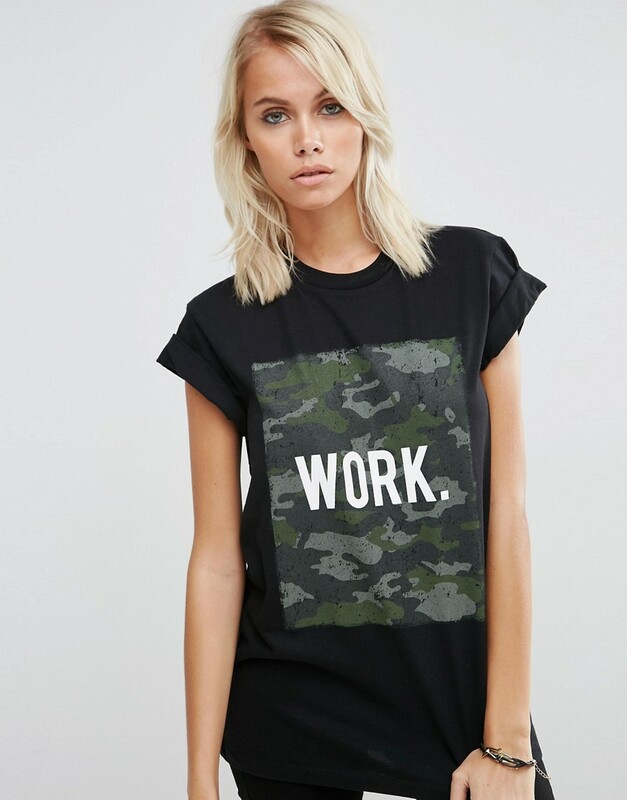 If you feel the camo print is not for you, try this simple slogan t-shirt from ASOS. I would wear this with a black pleated skirt, jeans or trousers. If you're feeling brave and don't mind the camo print, this coat from ASOS is gorgeous! The colours are not your typical colours, but the pink, blue and mustard seem to mix well together. 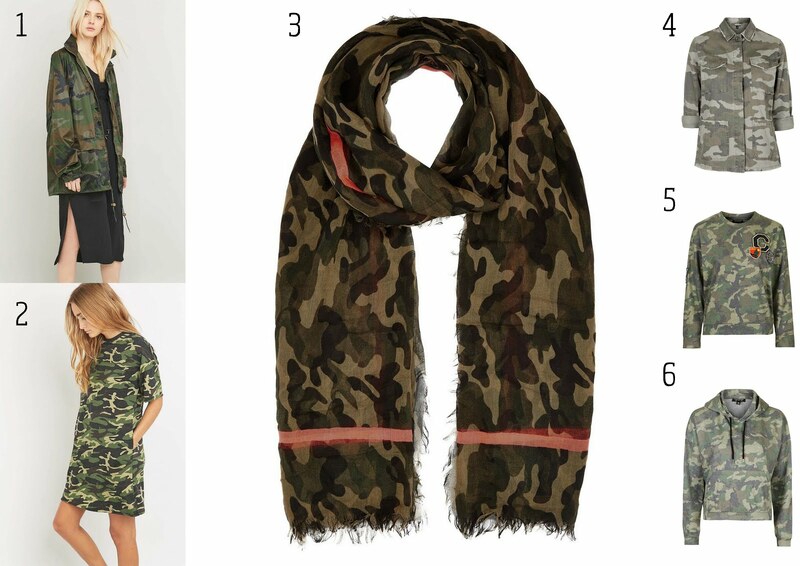 Jumpers and coats are always the best options if you want something camouflage. I have selected more of my favourite camo clothes below. Remember to style your camo clothes with plain colours and to keep it minimal. Happy shopping!